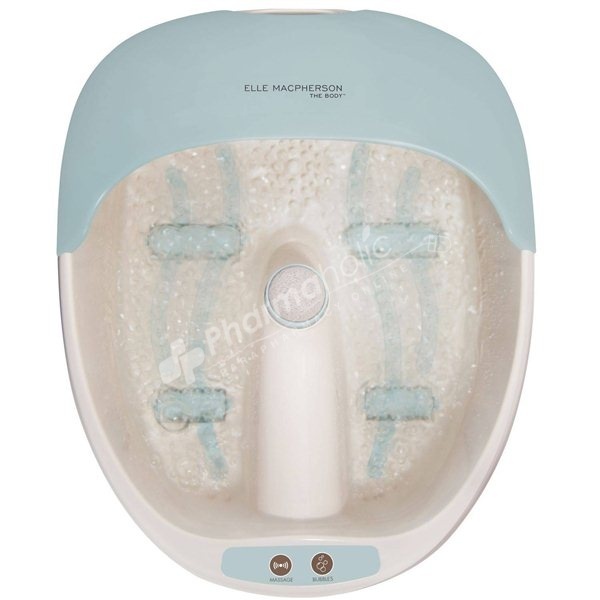 Homedics Elle Macpherson 3 in 1 Action Foot Spa ELM-FS150 has Hydro massage, Vibration massage and Magnetic therapy technologies all in one. Feel alive and let your feet breathe with the ultimate pampering foot spa. The Elle MacPherson 3 in 1 Luxury footspa is part of the new ‘The Body’ range that Elle has developed so that you can maximise your beauty potential. Intuitive and accessible, Elle's range of products can help you to discover her beauty secrets. This 3 in 1 luxury footspa provides pure relaxation and therapeutic benefits to relieve stress from your body and increase blood flow and circulation. Combining hydrotherapy, vibration massage and the magic of magnetic therapy (with 1000 gauss rating) for an invigorating foot treatment that leaves you feeling revitalised and refreshed. The vibration massage will give you an invigorating massage to boost circulation and this feature can be used with or without water. It is important to make the most of your ’me’ time and indulging in a foot massage is the perfect way to relieve stress and help to cleanse your mind and body through relaxation.